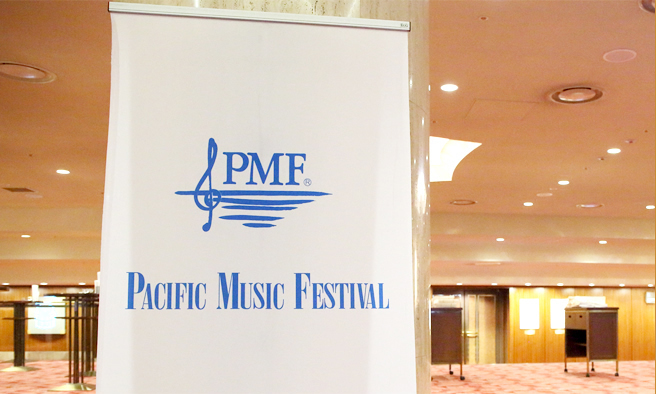 PMF concerts, and classical music concerts in general, often make use of designated seating, meaning that seat numbers are decided in advance. Seating preferences vary widely from person to person, but certain tendencies can be observed. You'll be in the same place for more than an hour; of course you'd like to choose a satisfying seat! I want to see the conductor! > We recommend the P block, or the front rows of the second-floor LA or RA blocks. 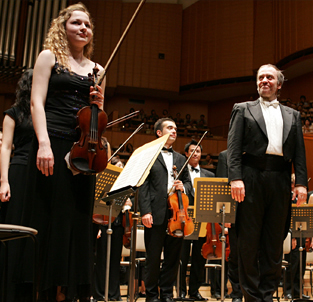 Usually the conductor's face is only visible when he or she enters and exits the stage. But in fact, the conductor's facial expressions during the concert, which help to lead the orchestra, are often very compelling. For those who would like to see these facial expressions, the P Block, situated directly in front of the conductor, is recommended (but please note that in some cases, these seats are not made available). This view of the conductor is possible because the hall features "vineyard seating," meaning that there are 360 degrees of seating, completely surrounding the stage. And for good views of the conductor's entrance and exit, the front rows of the second-floor LA or RA Blocks are recommended. From here you are likely to witness the conductor's dramatic transformation that takes place when stepping onto the podium. I want to see the performers up close - to feel their breath! > We recommend the seats near the stage on the first floor. It's not only wind players who take deep breaths on the stage; the other musicians and the conductor do so as well! By breathing together, over 100 performers can come together and play music as one. To experience this up close - simply impossible with recorded music - the seats near the stage on the first floor are recommended (note that in some cases PMF makes the seats near the front available at slightly lower prices). Some say that watching the performance at such a close distance (you can almost reach out and touch them!) makes them feel as though they themselves are part of the performance. I want to be able to see the entire orchestra all at once! > We recommend seats on the third floor. Orchestras can sometimes consist of up to 120 musicians, usually occupying a space of about 20 square meters, so a slightly higher vantage point actually allows one to overlook the entire orchestra. 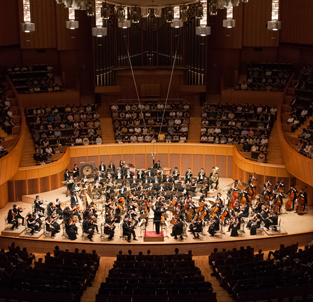 From Kitara's third floor, not only can the entire orchestra be clearly seen, but the hall's design also ensures a sound second to none. With an orchestra, there are frequently passages where multiple parts layer on top of one another, and from a high position these can be seen more clearly. 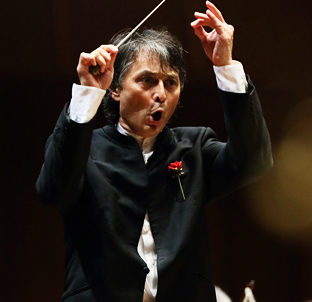 Experience the dynamism of the living organism that is the orchestra! So, how to find your favorite seats? The above is only a small set of examples of how to choose. Other ways could include finding seats that allow you to see a certain instrument more clearly, to be close to the pipe organ, or whatever interests you most; the possibilities are endless. Actually, we highly recommend that you try many different seat locations. For example, if you sat on the left side last time, try the right this time. If you had a clear view of the conductor last time, maybe you could try focusing on the cellos this time. Using this method for a month of PMF concerts will surely allow you to find your favorite seat. ＜　♪ Sample the Classics!